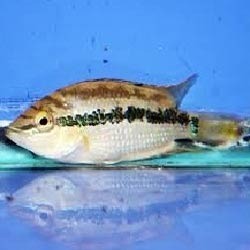 Our Salvini Cichlid Fishes (Cichlasoma Salvini) are ideal pets as these are available in variety of colors. These fishes are easy to keep and need less knowledge about the biological demands of Salvini fishes. Our fishes are very attractive and enhance the beauty of home decor. We offer excellent quality services to our clients. You are bidding on 5 Show Quality Male Peacocks, 5 Strains + DOUBLE BONUS! You will receive 1 each of the following. Red/Blue OB, Maleri Island Sunshine, Albino Ruby Red, Dragon Blood and Ruby Red. We are offering Cichlid Fish. 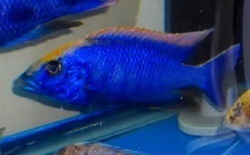 We have gained expertise in offering a quality approved array of Cichlid Tanganyika. The Cichlid Tanganyika can be kept aquariums. Available in various sizes and colors these products are available in various species. Our company has achieved laurels in providing Banana Cichlid Fish.